Arena’s Small Group Locator allows both organization members and non-members to register for a small group from the external Arena-managed website. Prospective Registrants can limit the search by using the available drop-down lists. 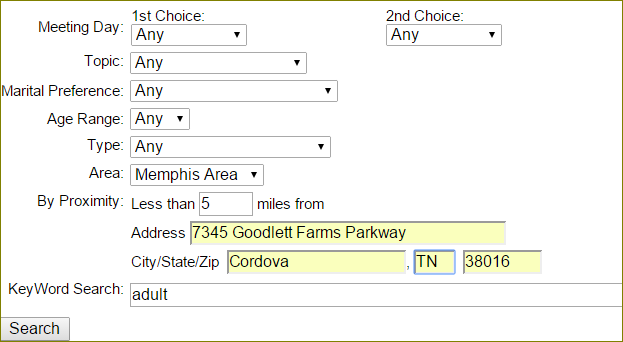 Once the registrant applies available filters, the group(s) matching the criteria display. The registrant can then select a group from the list and complete the on-line form. 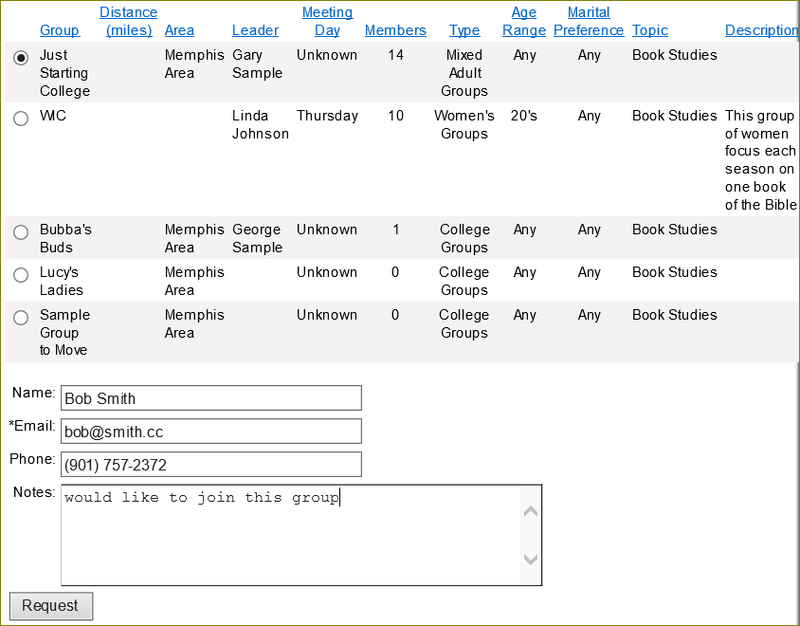 Once the form is complete, Arena sends an email, as specified in the Cluster Type, to the group leader. The registrant can also display on the Group Leader Toolbox. Be sure all the Details of each group are complete, including an active Group Leader and the Location. You want to be sure addresses of Group Leaders are geocoded for home groups for the purpose of Arena accurately identifying Groups when proximity is used. Small Group Locator page – The Locator page uses the Small Group Locator module that requires the Small Group module set to a specified Small Category ID with the option to select specific Cluster Types. You need to customize all module settings. You can optionally add a new page with the same module to a different page to provide flexibility in which groups to make available on a specific page. Be sure to change to a different Small Group Category ID and Cluster Type. You can also create a specific page with an Advanced HTML Text module containing a “Thank you for your submission” message. The By Proximity option requires a complete address. The option is to use Group Areas. If not using Group Area maps, set the Show Areas modules setting to false. Once the prospective group member applies any selected filters, the groups that match the results display. They can complete all fields and click the Request button. Arena sends an email(s) to designated Leaders and Group Admins.